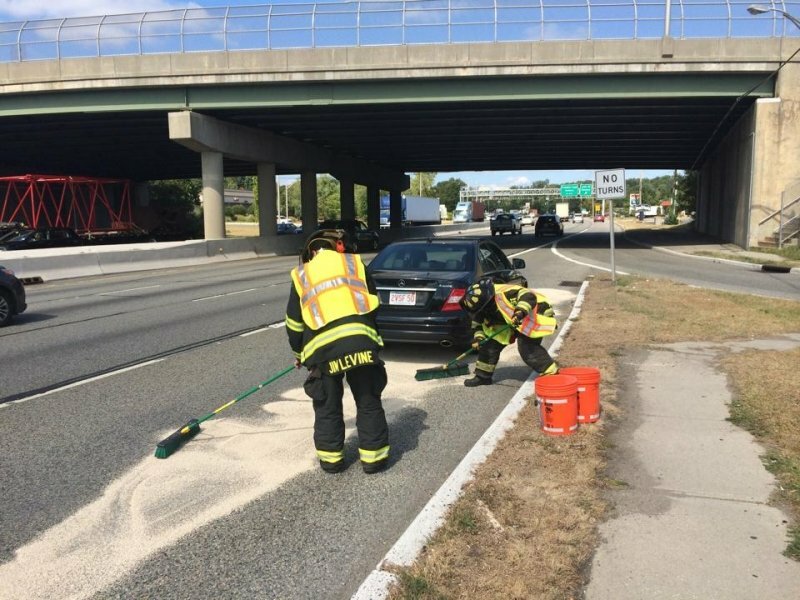 Monday, September 15, 2014 Today, the USRFD was dispatched to respond to a fluid spill on Route 17 at Mountainview Drive. Asst Chief Vierheilig (IC) responded along with USR Police to find a Mercedes Benz car with a ruptured fuel tank. Rescue 1242 (OIC FF C Younes) arrived on scene and the crew quickly contained the spill. Once the vehicle was removed by the flat bed tow truck, all units returned to HQ.